Big Ears Festival, the most civilized and musically adventurous festival in the country, announces its final lineup for the event which runs from March 21-24 in 2019. This may be one of the most ambitious rosters of this festival to date. There aren’t any of the “big” names like Wilco, Laurie Anderson or Philip Glass that past festivals have had, but there are many more important, innovative and adventurous names, including The Art Ensemble of Chicago, Nils Frahm, Harold Budd and Bela Fleck. As is typical of Big Ears, the lineup is diverse spanning rock, jazz, avant-garde, ambient and more. If I were to take an overall impression, I’d say this year’s slate has a definite jazz tilt, partly because the festival will be celebrating the 50th anniversary of ECM Records. Among the ECM artists performing are The Art Ensemble of Chicago, who are releasing a box set of their ECM work, Avishai Cohen Quartet, Carla Bley, David Torn, Ralph Towner and Tim Berne’s Snakeoil. Nik Bärtsch’s RONIN, who will be live on Echoes next Monday 11/19, will bring their minmalist jazz. Kim Kashkashian and Meredith Monk aren’t jazz but they record new music on the label. Then there are former and non-ECM jazz artists like guitarist Bill Frisell, Larry Grenadier and Mary Halvorson. Ambient chamber music pioneer Harold Budd will be feted with 3 concerts and some world premieres that will include solo piano and chamber works. However, when I interviewed Harold a few weeks ago he didn’t know he was playing Big Ears and had no idea what he’d be doing. But the 82-year old artist never disappoints. Drone and noise has dominated some previous Big Ears fests and that’s here as well with the Duke of Drone, Alvin Lucier. Experimental rock is there with Spiritualized, Mercury Rev and This Is Not This Heat and the outer edge of folk music as well with Bela Fleck, Rhiannon Giddens and Richard Thompson. The festival boasts not one, but two divas of avant-garde vocals who sing in languages of the imagination, Meredith Monk and the incandescent Joan La Barbara. Long before Lisa Gerrard and Elisabeth Fraser were creating their fanciful glossolalia, Monk and La Barbara were channeling vocal spirits ancient and alien. There are roughly a 100 lead artists in 100+ concerts across four days. It is an immersion into some of the most singular music being made today. The complete list is below, but as in past years, there will probably be additions right up to the start of the festival. 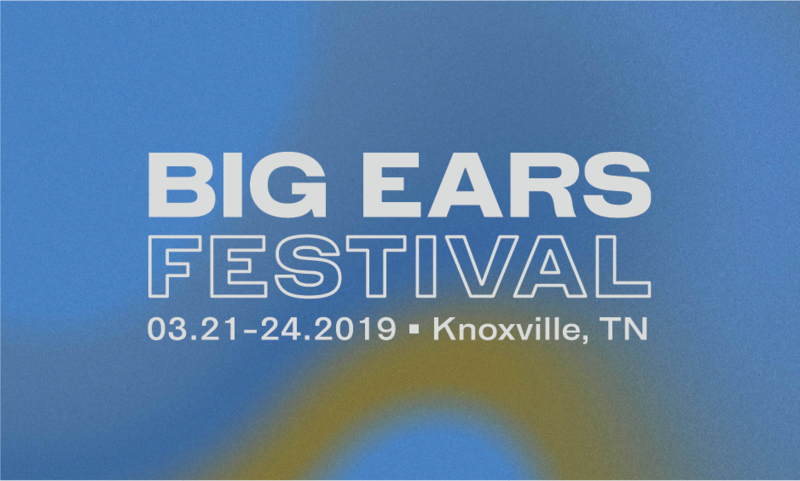 Big Ears Festival takes place March 21-24 in Knoxville, Tn. Tickets for Big Ears Festival 2019 are on sale now at bigearsfestival.org. Echoes will be there, trying to cover the enormity of this festival.